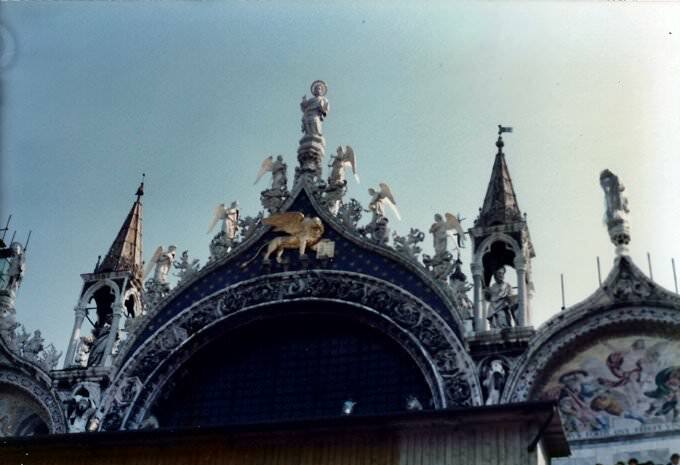 Of course, St. Mark’s Cathedral remains the most famous landmark of Venice. The beautiful same named square located near it is also an important tourist attraction. The cathedral impresses visitors with its luxurious furnishings. Here you will see gold mosaic, furniture and other elements of interior decorated with precious stones, and the altarpiece Pala D'Oro - a true masterpiece created by hands of professional jewelers. Golden House (Ca 'd'Oro) is another important object of excursions. This is a beautiful palace, the building of which was completed in 1434. Nowadays the visitors of the palace will find here a wonderful collection of old paintings, sculptures and tapestries - a part of the halls of the palace has been converted into a museum. Certainly, you should not forget to walk in the picturesque Rialto quarter, which is the location of numerous souvenir shops, markets and cafes. There are also some historical attractions in this area of the city. Among them is an old church Chiesa di San Giacomo di Rialto. Palazzo Ducale is another unofficial symbol of the city of canals. 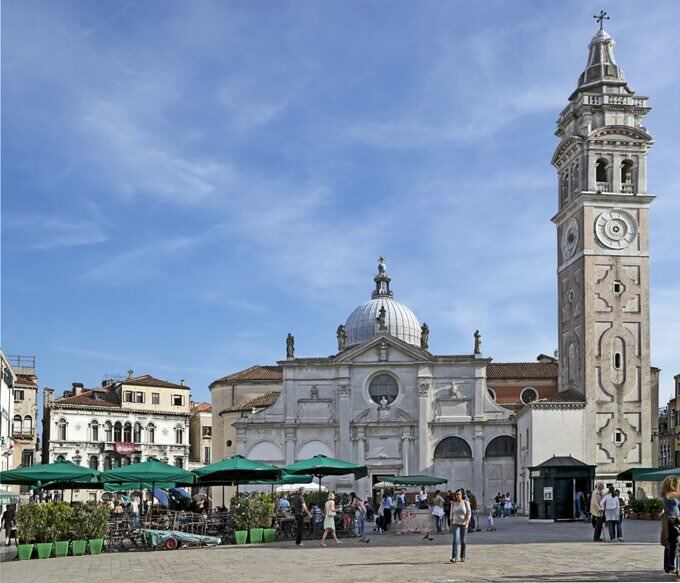 Besides the fact that it is a masterpiece of architecture, the place is historical being that many significant events in the history of the city took place behind its walls and in Piazza San Marco, where the palace is located. The building was constructed in the Gothic style under the project of Filippo Calendario. A stone was laid here for the first time in the year 810. However, the present building was erected between 1309 and 1424. Another interesting and amazing palace worth visiting is Palazzo Cavalli-Franchetti. It is located on the Grand Canal. The time of its construction dates back to the 15th century but it was later restored in the 19th century. Palazzo Pisani Moretta, built in true Venetian style and a real example of Venetian architecture, is another fascinating palazzo to visit and enjoy its appearance. It is surrounded by two other palaces from both sides – Palazzo Barbarigo and Palazzo Tiepolo. Every place offers a great view of the Grand Canal. Another palace, Palazzo Dario, is connected with a mystical history, which many tourists are attracted to. It is impossible to confuse the building as it was built in a style that was considered unusual for Venice. Everyman would wonder “this is nothing but Exoticism”. The building was constructed in 1487 by order of Giovanni Dario. This is where it gets interesting and if you would ask the locals about it, they will not fail to tell you in more details. Another eternal symbol of the city is Ponte dei Sospiri, or “Bridge of (last) sighs”. It connects Palazzo Ducale with Palazzo delle Prigioni. However, no romance emits from the place if you know why it is called so. The thing is that a prison was located next to the bridge, and the prisoners passed through it for the last time, on the way to the place of their execution. Thus, they last sighed and looked at their beloved Venice from here. However, this place has today become a symbol of lovers which is understandable taking into account the grace of the bridge. Squero di San Trovaso is some sort of “workshop of the city”. You can get acquainted with the traditional craft of the city here on the water, the fact being that the gondolas are made here. You will also find it interesting to visit the Museo della Musica, where you can look at ancient musical instruments, as well as the Museo Leonardo da Vinci for everyone who is interested in the work of the genius. You will find museums dedicated to the great artist in all of Italy. There are such exhibits as copies of Leonardo’s inventions in Venice. The hometown of Antonio Vivaldi was often “under the lens” of many directors and it is for this reason that fans of cinema travel often visit it. Consequently, the Grand Canal became the location for shooting such films as “Casino Royal”, “Indiana Jones and the Last Crusade”, “The Tourist”. Palazzo Ducale and Basilica di Santa Maria della Salute became the sight for the shooting of the film “Casanova” (by the way, Casanova is a native of Venice), while the movie “Honest courtesan” reveals almost the entire city. In the section below, you can get one of our excursion, activities or city discovery tours over Venice and surroundings. Our website offers 10-30% lower ticket prices, when compared to the offline purchase on the spot. » St Mark Basilica is the cathedral of the Roman Catholic Archdiocese of Venice. » That’s most famous of the churches of the city and one of the best known examples of Byzantine architecture in Western Europe. 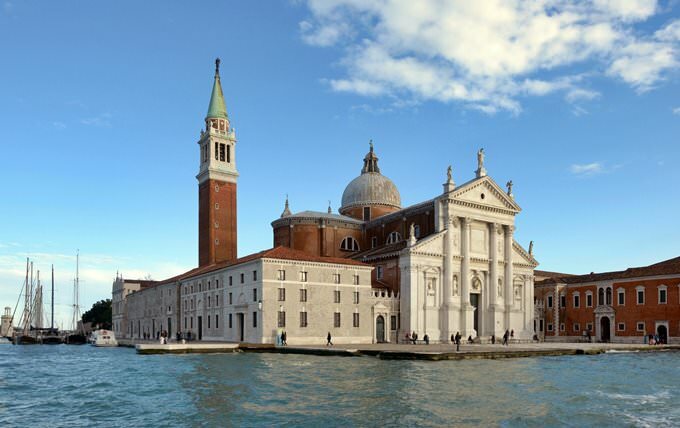 » Since the 9th century, the basilica was known as the Golden Church and was the symbol of Venetian wealth. It owed its second name to luxurious furnishings and golden mosaics. » The cathedral has a free-standing bell tower of about 100 meters height. The tower has an observation deck. 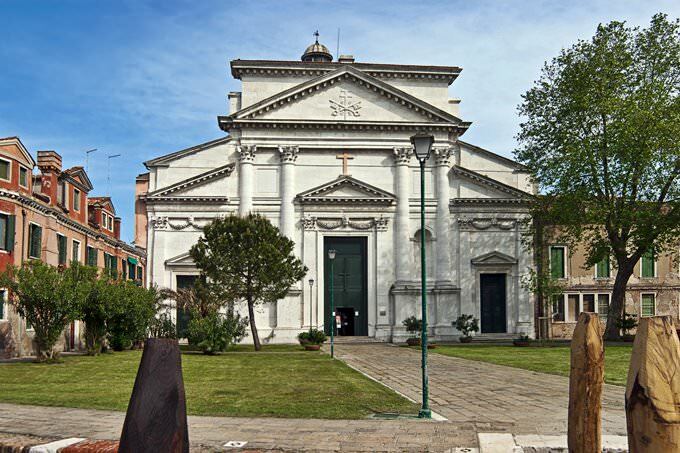 » St Mark Basilica has the treasure house that currently stores 283 items. Collection consists of numerous treasure caskets for relics, chalices and other church utensils brought from the East or donated by popes. » Santa Maria della Salute is the cathedral built in honor of abolition of the plague in 1630-1631, when the disease has claimed more than a third of the city's population. » The cathedral was built in the shape of an octahedron, with a dome hemisphere. » The church entrance is designed as a triumphal arch. » Facade is decorated with sculptures of the Archangel Michael, John the Baptist and the Virgin Mary. » The altar is decorated with marble statues dedicated to the miraculous abolition of the plague by Virgin Mary. 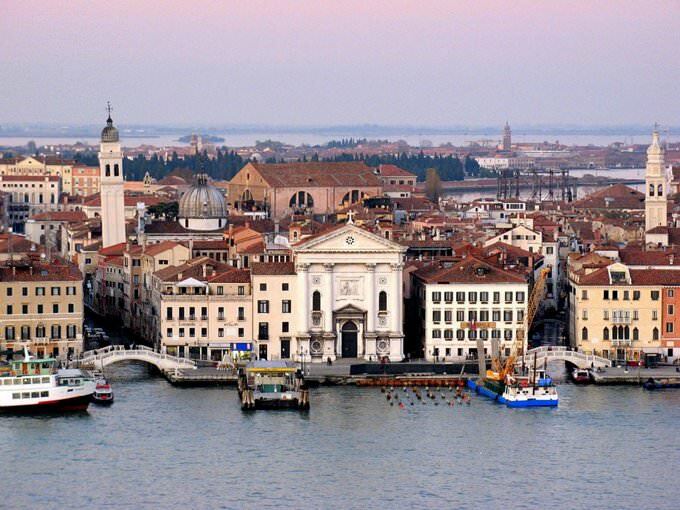 » San Giorgio Maggiore is located on the same island right in front of Piazza San Marco. » The bell tower is 75 meters in height; that’s the square brick tower. » The main gable of the cathedral is decorated with statues of Christ and the Holy Archangels, George and Stephen. » Interior of the cathedral impresses with its rigor and lighting. » The most impressive thing in the church is the bronze altar depicting God and the four evangelists, supporting the globe, as well as the organ created in 1750. » San Pietro di Castello is the Roman Catholic basilica of the patriarch of Venice, located in the Castello Quarter on the same island. » The current church building dates back to 16th century, but the first church on this site has been built in the 7th century. » Next to the church there is the bell tower, which stands decimated similar to the Leaning tower of Pisa. In this regard, it’s considered one of the most dangerous in Venice. » The basilica features several outstanding works of art. Among them, St. John the Evangelist, Peter and Paul, by Paolo Veronese, the altar painting by Giordano in the Vendramin Chapel and the Throne of St. Peter carved out of gravestone in the 13st century are notable. » The church is decorated with a large dome showing importance of the basilica. The dome is mounted on the dome drum with numerous rectangular windows, so there is much light inside. » Santa Maria Formosa was built in 1492, designed by Mauro Koducci. » One of the interesting architectural features of the church is cream building corbels called apses. » Another amazing thing is one of the few baroque details of the temple, a grotesque mask at the foot of the bell tower. » There are several masterpieces of Venetian painting school representatives in the church; Saint Barbara with the Saints by Palma il Vecchio is the main of them. » Another masterpiece situated in the church is the triptych Madonna della Misericordia by Bartolomeo Vivarini. 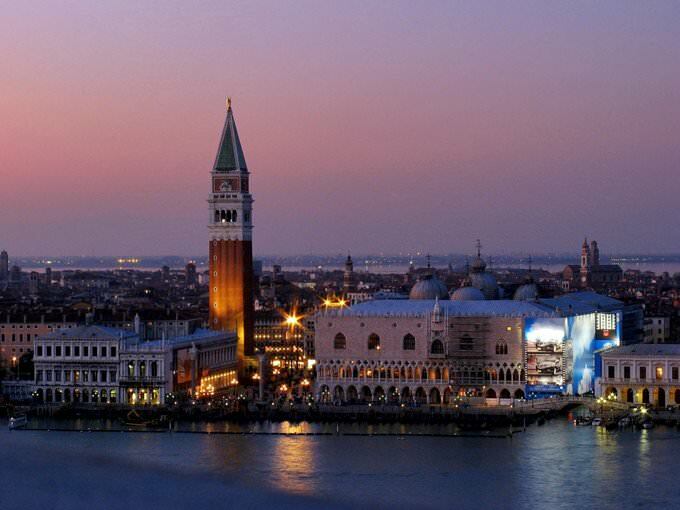 This guide to cultural sights Venice is protected by the copyright law. You can re-publish this content with mandatory attribution: direct and active hyperlink to www.orangesmile.com. 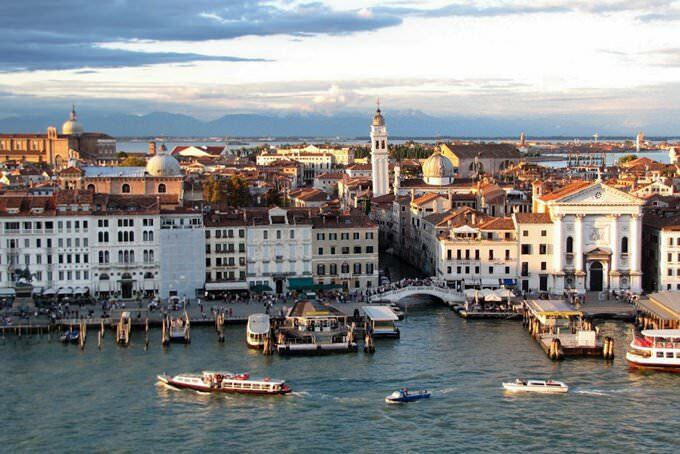 Culture guide to Venice. 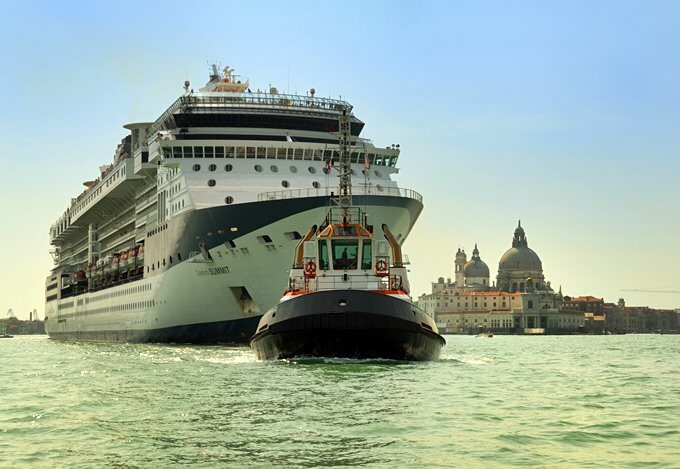 Which fascinating sights to visit once you are in Venice: temples, churches, museums, theaters and castles. Recommendations (with addresses, phone numbers and links) on the places 'must visit' in Venice. Plan your own city excursion by using this page info!